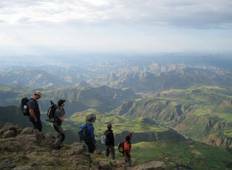 Find a Adventure trip that explores Simien Mountains National Park. There are 43 tours to choose from, that range in length from 3 days up to 142 days. The most popular month for these tours is January, which has the most tour departures. "Amazing trip! Loved every bit of my time in Ethiopia. 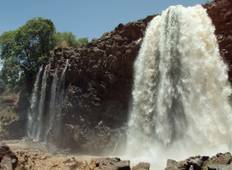 Always a good trip when it..."
"Excellent as long as you are not after home comforts"
"Michael was great in explaining and discussing Ethiopian history, culture, etc and..."
"It was the first time we travelled with a tour company. Previously it was independent..."